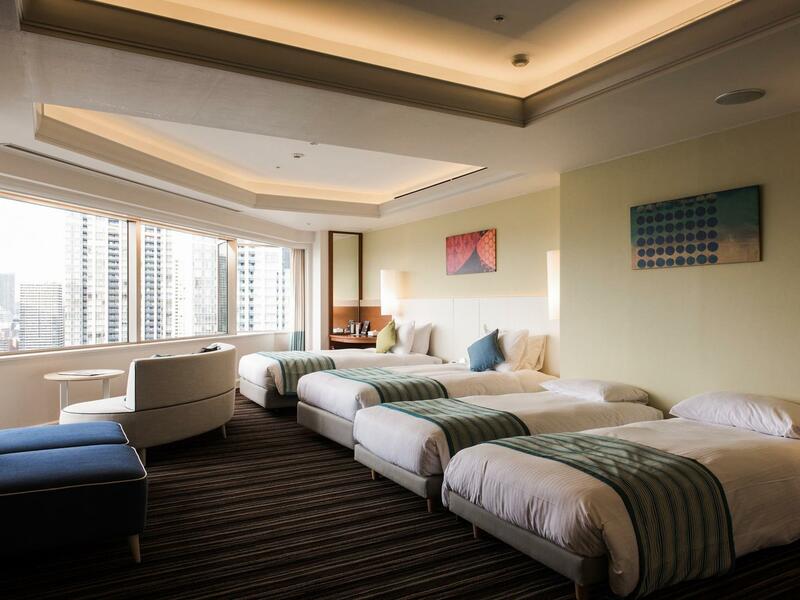 Terletak di Shinagawa yang menyenangkan, Dai-Ichi Hotel Tokyo Seafort memiliki posisi yang sangat bagus di pusat restoran, melakukan aktivitas bisnis, berbelanja di Tokyo. Terletak hanya 3 km dari pusat kota, para tamu berada di tempat strategis untuk menikmati obyek wisata dan aktivitas di kota ini. Untuk menuju berbagai pilihan lokasi jalan-jalan dan obyek wisata setempat, Anda tidak perlu pergi jauh-jauh karena properti ini terletak dekat dengan T Y Harbor Brewery, Museum Seni Kontemporer Hara, Kedutaan Besar Serbia. 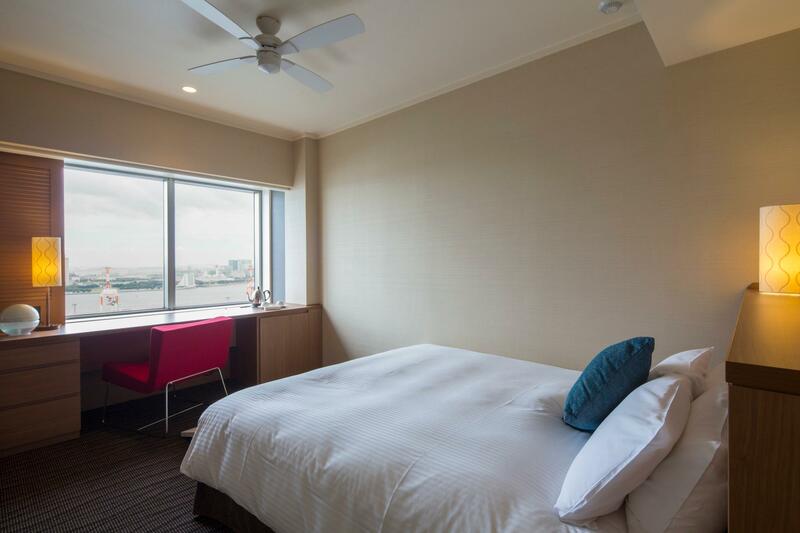 Di Dai-Ichi Hotel Tokyo Seafort, pelayanan istimewa dan fasilitasnya yang unggul akan membuat pengalaman menginap Anda tidak terlupakan. Ketika menginap di properti yang luar biasa ini, para tamu dapat menikmati WiFi gratis di semua kamar, resepsionis 24 jam, penyimpanan barang, Wi-fi di tempat umum, tempat parkir mobil. Masukilah salah satu dari 130 kamar yang menggoda di sini dan lepaskan rasa penat Anda dengan sejumlah fasilitas yang tersedia seperti televisi layar datar, akses internet - WiFi, akses internet WiFi (gratis), kamar bebas asap rokok, AC. Properti ini menawarkan berbagai pengalaman hiburan unik seperti pijat. Ketika Anda mencari penginapan yang nyaman di Tokyo, jadikanlah Dai-Ichi Hotel Tokyo Seafort rumah Anda ketika berlibur. Tamu yang memesan kamar dengan makan malam wajib melakukan check-in sebelum pukul 05:30 PM. Apabila tidak, maka makan malam tidak dapat disajikan dan tidak ada pengembalian uang. Terdapat biaya tambahan untuk sarapan anak. Silahkan menghubungi pihak properti secara langsung untuk informasi lebih lanjut. Secara keseluruhan memuaskan, view hotel menghadap ke laut dan jembatan yang indah, kami menyewa 3 kamar, hanya 1 kamar yang bedcovernya kurang bersih tapi terselesaikan saat kami minta diganti, kemudian kamar yang saya tempati heaternya kurang hangat walaupun sudah coba diatur, namun 2 kamar lainnya baik-baik saja. Selebihnya semua baik terutama kebersihan kamar. Hanya ada satu malam yg sangat kaget karena ketika sedang tidur nyenyak alarm berbunyi keras dan penjelasan di speaker dengan bahasa jepang, yg akhirnya kami ketahui ternyata ada kamar yg merokok dan asapnya berlebihan sehingga otomatis alert untuk kebakaran berbunyi. Disatu sisi itu sistim keamanan mereka yang berfungsi baik tapi di sisi lain sempat membuat kami sangat tidak nyaman karena tidak mengerti pengumuman apa. Walaupun kesimpulan menyenangkan karena lokasi hotel dekat dengan banyak tempat makan dan ada stasiun monorel jadi mudah di akses. Dear Akiko, Thank you for taking the time to give us regarding of your recent stay with us. We are delighted to hear that you enjoyed our location. We certainly hope that your time was a memorable one and we look forward to welcoming you back again near future. Best Regards, Guest Service Manager. Dai-Ichi Hotel Tokyo Seafort. I always prefer to stay at the hotel if possible when the price is right for the season. Otherwise it is little out of my business range. Reserved this hotel for 3 nights during a black friday sale. 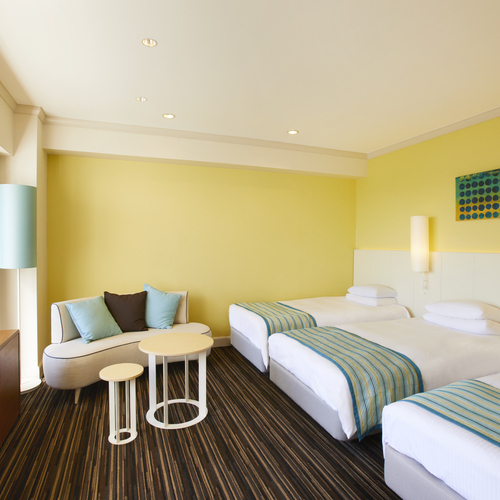 Staff gave us a twin bed room at no additional charge. Very fancy hotel without paying the fancy hotel price premium. Not accessible for free with the JR pass, so plan ahead if you are staying at this hotel (Tokyo monorail is 200 yen from Hamamatsucho to Tennozu Isle). Convenient location to the Tokyo Big Sight convention center. Experienced a small earthquake while in the room and felt safe the entire time, despite being on the 24th floor. Breakfast was very filling and worth the 2,000 yen (discount coupon provided by front desk at check-in). Very convenient go get around since the monorail is only less then 5 mins away. 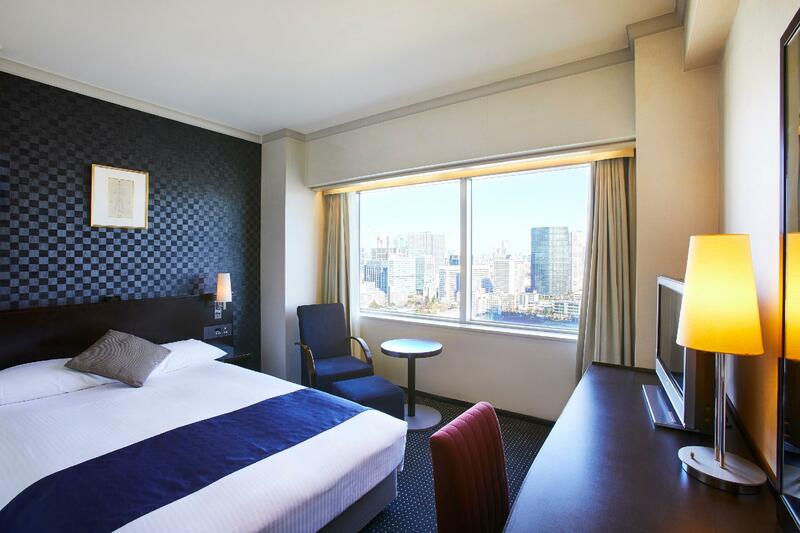 Easy access to major cities like Shinagawa, Shinjuku, Shibuya, Ginza, etc. I will definitely recommend this hotel to any gals travelling by themselves who does not have their hubands around to carry their heavy lugguages. The hotel is connnected to the monorail so you can roll your lugguages and take the elevator all the way from your room to check in counter at the Haneda Int Airport. I was carrying a big handbag and 3 check-ins. I only had to struggle for 20 mins from my room to the airport check in. 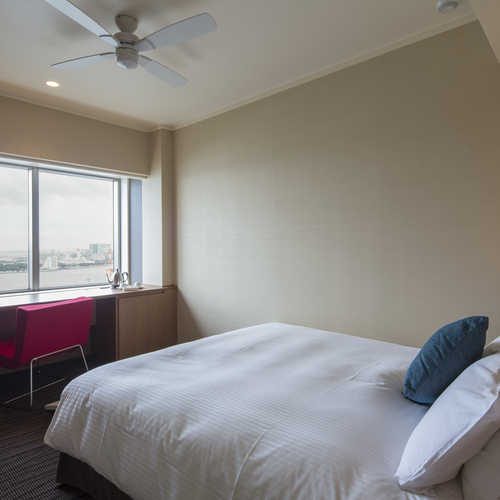 The rooms have a great sea view over looking the bridge and tokyo tower. Clean as a 5 star should be and amenities all provided for. Basically you only need to bring your clothes. I love their shampoo and facial wash. Love their hot water kettle as it is also a hot flask. But if you want coffee you will have to get it from the 7 Eleven downstairs. It was raining 2 days before we left and I was so glad we stayed at this hotel as it is sheltered from out shopping at major train stations and all the Haneda. Staying dry is very important for me especially during this cold winter in February. I will definitely come back to this hotel. I stayed here first time. Hotel is on the water: canals, Shinagawa port nearby. There are many walks along the canals, outdoor eating and drinking. 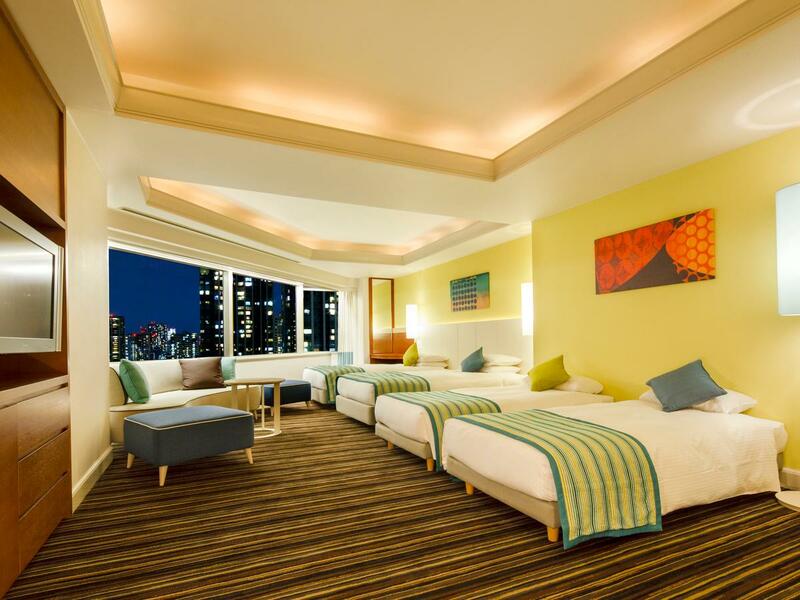 Hotel is located in a large building with many restaurants and cafes. Transport is convenient with Rinkai line. Windows in the room can't be opened, and all restaurants in the building close early. Otherwise perfect. Great hotel bigger than a normal room that you tend to get in Tokyo.... recommend this hotel staff very helpful. 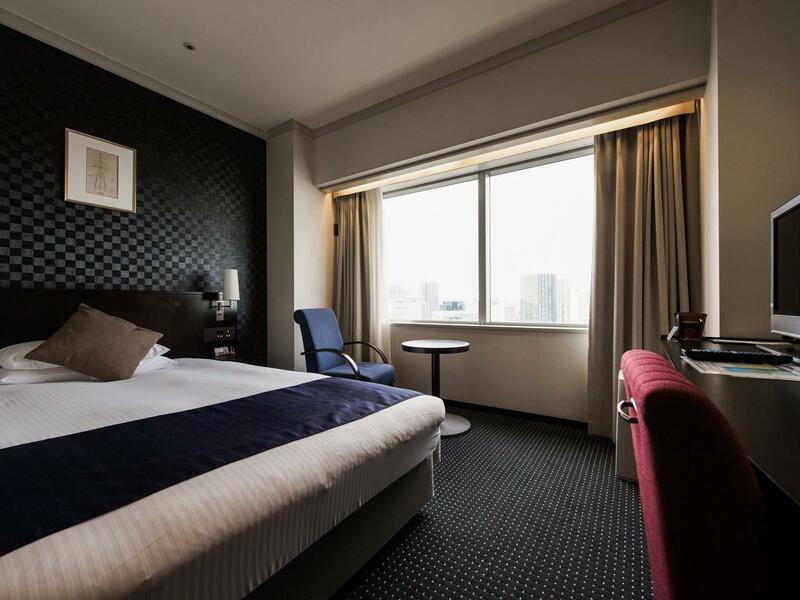 Dear Mohamed, Thank you for choosing the Dai-Ichi Hotel Tokyo Seafort. We appreciate your feedback. We guess you had a memorable experience in Japan. We hope to see you again your next trip in Japan. Best Regards, Guest Service Manager. Dai-Ichi Hotel Tokyo Seafort. 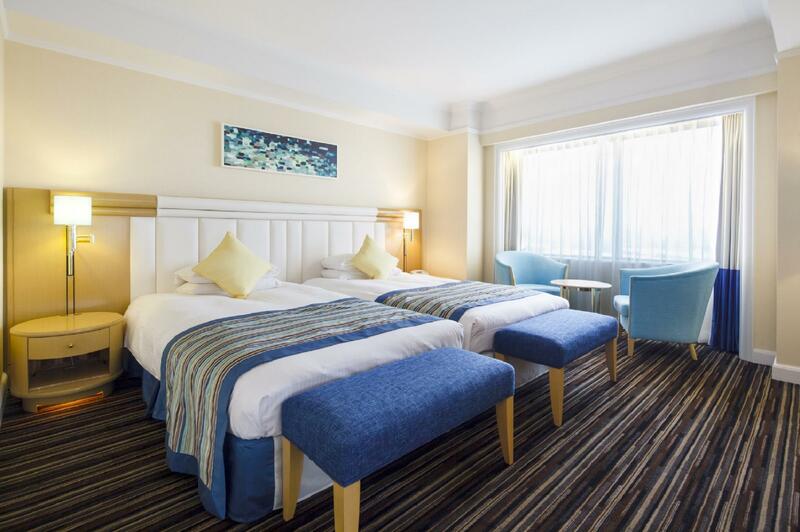 Good hotel in a business district, close to the airport. Great 26th storey views of Tokyo bay. Not so close to the centre or in a particularly exciting area for attractions/nightlife etc, though odaiba is just across the bay. Like the last stay it was pleasant stay. On 1st day, I found the room was smaller than I reserved but they changed it to the orignal size room(30square meter) on next day while we were out. The only thing makes me hesitate to visit this wonderful hotel is its location. The Linkai seng is not popular line except for Odaiba tourist. For other attractionsyou have to pay additional fee just for one or couple of stops!. Otherwise I love this hotel. Dear SUNGWAN sir!! Thank you for taking the time to post your opinion. we are very happy to hear that your stay have met expectations. Our hotel's every room is located on 23F to 27F and furthermore it has resplendent views. Tank you for coming again and we look forward to welcoming your next visit. Best regards, Dai-ichi Hotel Tokyo Seafort Manager. I was at Dai-Ichi last year. Indian hotel is nearby (within 50 meters). Best location as train services are just 100 meter away. Staff is rude as not allowed me early check-in. I had requested the same while booking. But still I was told that your check-in time is at 2pm. Very very unprofessional as I was having my 3 year old kid with me. Dear Vipul!! Thank you for taking the time to write such as candid feedback. We are very sorry to hear that our staffs did not meet your expectations. Your feedback are all essential for improve our service. We are sure that never happens again. We apologize again. This critical feedback will be used in training our staff. Thank you and look forward to seeing you again. Best Regard, Dai-ichi Hotel Tokyo Seafort Manager. I stayed in the business deluxe harbor view room for one night. It was a really spacious room as far as hotels in Tokyo are concerned. The hotel was beautiful, the room was clean and nice. The only thing i would change is the location. It's kind of inconvenient, but it's manageable and not too terrible. Would definitely recommend! the place is a bit hard to find first time because you have to walk a very small path to the hotel. The place itself though is super nice and value for money. 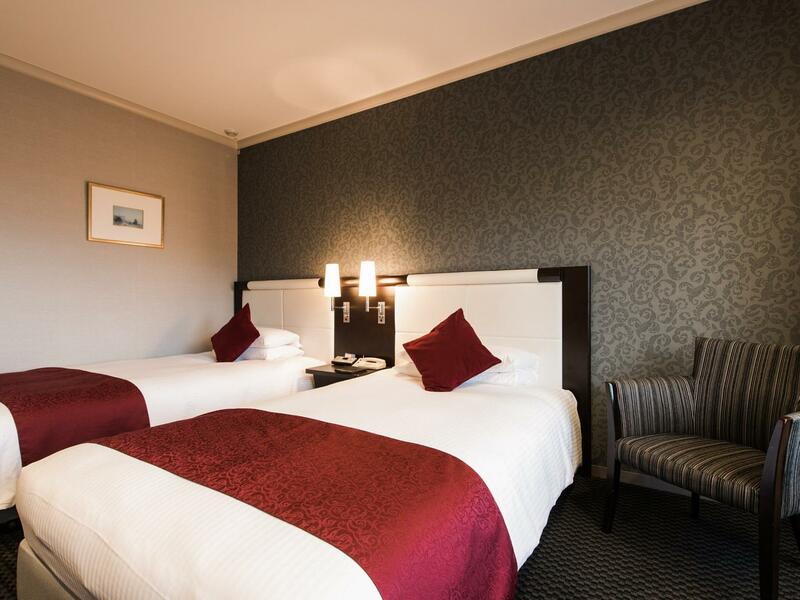 i recommend the hotel if you are looking for low price yet grand hotel. This is our first travel to Japan without joining a tour. We pleasantly found this place super easy to get to. There are also a collection of restaurants in the same plaza for late arriving guests. If I have had noticed the choice of non-smoking rooms at time of booking, it will make the stay perfect. Our stay was great. Our room had a beautiful view from the 27th floor and it is very conveniently located next door to the monorail/train station. The room was very nice, bathroom very nice, very clean, and the staff were friendly and speak pretty good English. We were quite impressed with the restaurants that were located just outside the lobby doors with a 7/11 as well. We would definitely stay here again! Only downfall, parking was a bit expensive. I drove from airport. The instruction to the hotel wasn't clear. View is good and room size is okay but seldom facilities. There are different style of restaurants in 1/F & 2/F but each style has one and no second choice. The selling price of the drug shop in the 1/F is higher than other area. 7-11 is closed at the middle of the night.